It has been said that those who ignore history are condemned to repeat it. The amazingly simple solution to the treatment of a disease that had existed for thousands of years was painstakingly discovered and it became a history in itself. Because several factory workers would develop the first symptoms of beriberi when exposed to sunlight, the early researchers were misled, thinking that beriberi was due to infection. Now, it has to be explained why the first symptoms of thiamin deficiency disease can be precipitated by exposure to the stress of exposure to ultraviolet light. Selye, who studied the biologic results of stress in animals, developed the General Adaptation Syndrome (GAS). He came to the conclusion that the diseases of mankind were failures of adaptation to environment. Although little was known about energy metabolism at that time, Selye said that it was a deficiency of “some form of energy” that resulted in his experimental animals succumbing to stress. One of his students was able to produce the GAS by causing animals to become thiamin deficient. Now that energy metabolism is well known, it is easy to understand why the brain and heart, the most energy consuming organs in the body, are most affected by thiamin deficiency. The details of cardiac beriberi are well-known, but because of an overall resistance of physicians to believe that a disease like this could occur in modern America, it is easily missed. Thiamin deficiency leads to various manifestations due mainly to dysfunction of the nervous and/ or cardiovascular system. Cardiac beriberi in infants is usually missed in clinical practice because of absence of classically described symptoms such as pedal edema and anasarca. Thiamin deficiency was investigated in 55 infants, all of whom were exclusively breast-fed. The majority presented with tachypnea, chest indrawing and tachycardia with cardiomegaly. The investigators recommended thiamin therapy for infants with unexplained congestive cardiac or acute respiratory failure(1). Undifferentiated altered mental status and hemodynamic instability are common presenting complaints in the emergency department. Received August 14, 2017; Accepted August 21, 2017; Published August 22, 2017. Derrick Lonsdale Abstract An important diagnosis to consider and upon which we can easily intervene is that of thiamin deficiency, where an increased blood lactate provides a good clue(2). Five cases of cardiac beriberi occurring in chronic alcoholics were reported and the author stated that the incidence of cardiac beriberi appears to be greater than is generally realized(3). Studies have suggested that diuretic therapy for heart failure may lead to thiamin deficiency due to the increased urinary thiamin excretion. The case of a 61-year-old man with Shoshin beriberi (an acute and lethal form) induced by longterm diuretic therapy was reported(4). Two patients suffering from cardiovascular beriberi presented with different clinical manifestations. One had the classical features of high cardiac output with raised jugular venous pressure and gross edema. The other was in fulminating heart failure with clinical evidence of a low cardiac output and without peripheral edema(5). A 35-yearold man presented with chest discomfort. His electrocardiographic pattern was that of severe myocardial ischemia suggesting left main coronary artery obstruction. Coronary angiogram showed normal coronary arteries. Right heart catheterization showed a high-output state with elevated filling pressures suggesting high-output heart failure. After a single dose of 100 mg of thiamin, his hemodynamic status improved dramatically within minutes. Subsequent ECGs showed complete resolution of ST-segment abnormalities. Serial lactate measurements, red blood cell transketolase and activity with the thiamin pyrophosphate response test were concordant with a thiamin deficiency state(6). Improved imaging and other physiological assessments have demonstrated important central nervous system responses to myocardial ischemia, including activation of CNS areas known to be “key players” in chronic pain syndromes, including cardiac pain(7). A review considered how ischemia at the tissue level triggers activation of afferent nociceptive pain fibers involving the projections of sympathetic and vagal afferent fibers(8). A high index of suspicion is required of the clinician. Unexplained heart failure or lactic acidosis, renal failure with dialysis, alcoholism, hyperemesis gravidarum, bariatric surgery, diabetes and intravenous dextrose without thiamin all increase the risk of thiamin deficiency(9). Postprandial hypertriglyceridemia is now established as an important risk factor for cardiovascular disease(10). Recent evidence points to a prominent role of the hypothalamus in triglyceride metabolism through sympathetic nervous system action(11). High carbohydrate diets fed to rats for six days resulted in increased triglyceride synthesis, establishing the importance of dietary factors in the regulation of hepatic triglyceride synthesis(12). Different studies have shown that critical illness in adults is associated with an almost 50% increase in mortality. Thiamin deficiency should be suspected in different clinical situations such as severe sepsis, burns, unexplained heart failure, lactic acidosis, neurological disorder, starvation, chronic malnutrition, long-term parenteral feeding, hyperemesis gravidarum and bariatric surgery. These all come under the general heading of stress insults. The symptoms and signs are usually unrecognized and underdiagnosed by clinicians(13). Three cases of hospitalized patients who had received parenteral nutrition without sufficient vitamin supplementation had a severe form of lactic acidosis. Intravenous administration of thiamin caused a rapid and marked restoration of acid-base balance, hemodynamic stability and disappearance of neurological disturbances within hours of administration(14). Shoshin, the fulminant variant of beriberi, once considered an uncommon condition, is now being encountered among critically ill patients. Four nonseptic, nonalcoholic patients have been reported, all of whom responded to thiamin administration(15). The initial symptoms of thiamin deficiency beriberi are those of dysautonomia, a broad term that describes any disease or malfunction of the autonomic nervous system(16). The decrease of pyruvate and ketoglutarate dehydrogenase complex activities is the main cause of energy and acetyl-CoA deficits in thiamin deficiency-evoked cholinergic encephalopathies(17). Studies have confirmed the high co-morbidity between depression and cardiovascular disease, the incidence of both being extremely high worldwide. Inflammation occurs in both. Pathophysiologic factors include imbalance between the sympathetic and parasympathetic systems, release of pro-inflammatory cytokines, platelet activation and hypercoaguability(18). Sympathoneural hypertonicity is a factor in left ventricular hypertrophy and the latter has been a prophet for sudden cardiac death(19). Autonomic dysregulation is a feature of chronic heart failure and is characterized by a sustained increase of sympathetic drive and withdrawal of parasympathetic activity. Modulation of parasympathetic activation as a potential therapy for heart failure has received only limited attention because of its inherent complex cardiovascular effects. A review addresses the effects of vagus nerve stimulation on modification of pro-inflammatory cytokines and nitric oxide elaboration(20). The neurotransmitter for the vagus nerve is acetylcholine. The acetyl group is derived from the function of the citric acid cycle and choline comes from diet or from transmethylation of ethanolamine, using folate. This makes cholinergic metabolism dependent on good nutrition. Increased sympathetic or parasympathetic tone may dominate the clinical picture at different stages of thiamin deficiency beriberi(21). There is abundant evidence linking diets high in carbohydrate content with hypertriglyceridemia. Epidemiological studies reveal that the increase in dietary sugars and refined carbohydrates are associated with the rising prevalence of the metabolic syndrome and type 2 diabetes(22). The highly processed, calorie-dense, nutrient-depleted diet favored in the current American culture frequently leads to exaggerated supraphysiological post-prandial dysmetabolism. The transient increase in free radicals acutely triggers atherogenic changes, including inflammation, endothelial dysfunction, hypercoagulability and sympathetic hyperactivity. This is an independent predictor of future cardiovascular events, even in nondiabetic individuals. Improvements in diet exerts profound and immediately favorable changes(23). Thiamin tetrahydrofurfuryl disulfide (TTFD) is defined as the synthetic counterpart of allithiamin, the naturally occurring thiamin derivative found in garlic and other members of the allium species. Japanese investigators created a number of synthetic forms and investigated their use in a number of human disease conditions (26). Its therapeutic benefits are mainly due to its ability to pass the thiamin molecule through the lipid barrier of the cell membrane, hence the reference to it being fat-soluble. For administration it is water-soluble and can be given intravenously. However, the intact molecule has properties that are different from those of dietary thiamin. It has untapped therapeutic ability, because of the vital place of thiamin in energy metabolism(27). An animal study has provided evidence that it has cholinergic stimulating action(28). This may be important in treating autonomic imbalance where sympathetic activity dominates. There is also evidence that it is capable of inhibiting the arachidonic acid cascade-line activation(29). This suggests that TTFD may have beneficial effects in the treatment of inflammation. When a dose of 20 mg of water soluble thiamin was given to a subject, 13 mg was found in the stool, indicating the poor absorption. When thiamin propyl disulfide (TPD) was given to the same subject, only 3 mg of thiamin was found excreted in the stool(26). A segment of dog’s jejunum was disconnected from its mesenteric innervation. Intravenous or topically applied TPD produced a marked stimulatory effect on peristalsis(26). This suggests that TTFD could be used to stimulate peristalsis in postoperative paralytic ileus, a relatively common complication following surgery. Hypertension remains the most potent and widespread cardiovascular risk factor. Novel strategies were coupled to position a new hypertension-susceptibility locus, uncovering a previously unsuspected thiamin transporter whose genetic variants predicted several disturbances in cardiac and autonomic function(30). TTFD has been shown to be an effective inhibitor of rising blood pressure in SHR rats(31). Several investigators have reported that sympathetic nervous activation relates to cardiovascular complications in patients with hypertension, diabetes, and obesity. A better understanding of the relationship of sympathetic nervous system activity and insulin resistance might help with the clinical treatment of diabetes, hypertension and obesity(32). Since it is potentially predictable that a cholinergic action would counterbalance sympathetic overdrive and TTFD is non-toxic(27) , a good case could be made for a clinical trial of TTFD in human hypertension in its early stages before arterial calcification begins. Since ischemia triggers activation of afferent sympathetic and vagal afferent fibers(8) and high-dose thiamine improves the symptoms of fibromyalgia(33), the use of thiamine injections might be entertained in clinical trial to treat cardiac pain. It appears that high doses of vitamins B1, B6, and B12, administered separately or in combination, can alleviate acute pain and potentiate the analgesia effect of non-opioid analgesics(34). The medical literature contains manuscripts that have repeatedly shown the relationship between disease and malnutrition. Little has changed in the public domain and the physician who accepts the principles is hard put to get his patients to see reason. Thiamin and magnesium supplementation may be the key to the relationship between high calorie malnutrition and disease . It has been hypothesized that it is the ratio of calories to the available vitamin concentration in the performance of normal oxidation (16). Thus, the presently accepted normal intracellular concentrations of thiamin and magnesium may be sufficient for a normal healthy diet, but insufficient when an excess of empty calories is ingested. Thiamin and magnesium supplementation would correct the ratio and recuperate normal oxidation. Patients are mostly programmed to take pills and might accept them more readily than only being told to change dietary habits, although dietary correction is still a necessary part of treatment. Thiamin deficiency appears to be common in patients with heart failure, and supplementation has been shown to improve cardiac function, urinary output, weight loss and signs and symptoms. Therefore, this simple therapy should be tested in large scale randomized clinical trials to further determine the effects of thiamin in heart failure patients(25). Rao, S.N., & Chandak, G. R. Cardiac beriberi: often a misdiagnosis. J Trop Pediatr (2010). 56 (4): 284-5. .Chisolm-Straker, M., & Cherkas, D. Altered and unstable: wet beriberi, a clinical review. J Emerge Med (2013). 45 (3): 341-4. Mismumida, N., Umeda, H., & Iwase, M. Shoshin beriberi induced by long-term administration of diuretics: a case report. Case Rep Cardiol 2014; 2014:878915, doi: 10. 1155/2014/878915. McIntyre, N., & Stanley, M.N. Cardiac beriberi: two modes of presentation. Br Med J (1971). 3 (5774): 567-9. Loma-Osorio, P., Penafiel, P., Doltra,A., Sionis, A., & Bosch, X. Shoshin beriberi mimicking a high-risk non-ST-segment elevation acute coronary syndrome with cardiogenic shock: when the arteries are not guilty. J Emerge Med 41 (4): e 73-7. Leach, A., Fisher, M. Myocardial ischaemia and cardiac pain-a mysterious relationship. Br J Pain 7 (1): 23-30. Rosen, S. D. From heart to brain: the genesis and processing of cardiac pain. Can J Cardiol 28 (2 suppl): s7-19. Frank, LL. Thiamin in clinical practice. JPEN I Parenter Enteral Nutr (2015). 39 (5): 503-20. Boren, J., Matikainen, N., Adiels, M., & Taskinen, M. R. Postprandial hypertriglyceridemia as a coronary risk factor. Clin Chim Acta (2014) 20; 431:131-42. Geerling, J. J., Boon, M. R., Ko the oijman, S., Parlevliet, E. T., Havekes, L. M., Romijn, J. A., et al. Sympathetic nervous system control of triglyceride metabolism: novel concepts derived from recent studies. J Lipid Res (2014). 55 (2): 180-9. Fallon, H. J., & Kemp, E. L. Effects of diet on hepatic triglyceride synthesis. J Clin Invest (1968). 47 (4): 712-9. Manzanares, W., & Hardy, G. Thiamin supplementation in the critically ill. Curr Opin Clin Nutr Metab Care. (2011). 14 (6): 610-7. Giacolone, M A., Martinelli, R., Abramo, A., Rubino, A., Pavoni, V., Iacconi, P., et al. Rapid reversal of severe lactic acidosis after thiamin administration in critically ill adults: a report of three cases. N utr Clin Pract (2015). 30 (1): 104-10. Dabar, G., Harmouche, C., Habr, B., Riachi, M., & Jaber, B. Shoshin beriberi in critically-ill patients: case series. Nutr J (2015). ; 14:51.doi: 10. 1186/s12937-015-0039-7. Lonsdale, D. Thiamin and magnesium deficiencies: keys to disease. Med Hypothes (2015). 84 (2). 129-134. Jankowska-Kulawy, A., Bielarczyk, H., Pawelczyk, T., Wroblewska, M., & Szutowicz, A. Acetyl-CoA and acetylcholine metabolism in nerve terminal compartment of thiamin deficient rat brain. J Neurochem (2010). 115 (2): 333-42. Halaris, A. Inflammation, heart disease, and depression. Curr Psychiatry Rep (2013). 15 (10): 400. doi: 10. 1007/s11920-013-0400-5. DeQuattro, V., & Hamad, R. The role of stress and the sympathetic nervous system in hypertension and ischemic heart disease: advantages of therapy with beta-receptor blockers. Clin Exp Hypertens A. (1985). 7 (7): 907-32. Inouye, K., Katsura, E., clinical signs and metabolism of beriberi patients. In: Shimazono, N., Katsura, E., eds. Thiamine and beriberi. Tokyo: Igaku Shoin Ltd. 1965, pp 29-63. Morgantini, C., Xiao, C., Dash, S., Lewis, G. P. Dietary carbohydrates and intestinal lipoprotein production. Curr Opin Clin Nutr MetabCare (2014). 17 (4): 355-9. O’Keefe, J. H., Gheewala, and. M., O’Keefe, J. O. Dietary strategies for improving post-prandial glucose, lipids, inflammation, and cardiovascular health. J Am Coll Cardiol (2008). 51(3): 249-55. Stroh, C., Meyer, F., & Manger, T. Beriberi, a severe complication after metabolic surgery-review of the literature. ObesFacts (2014). 7 (4): 246-52. 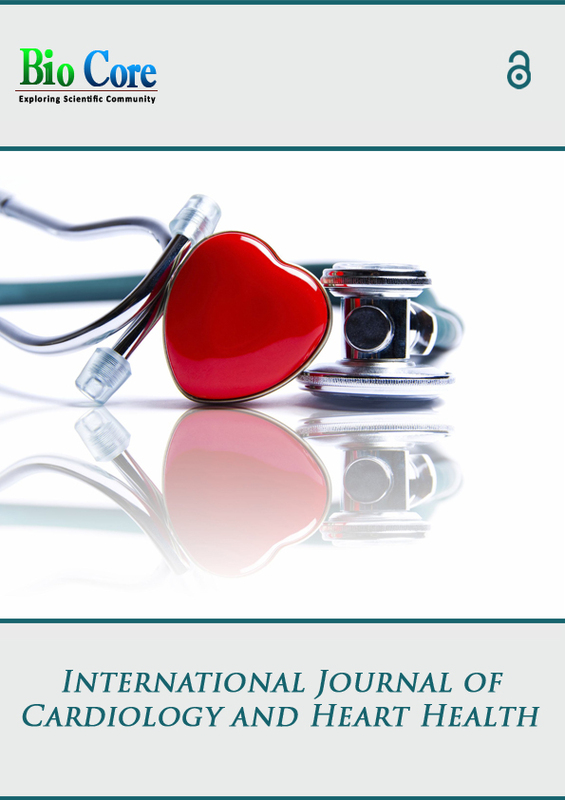 DiNicolantonio, J.J., Niazi, A.K., Lavie, C. J., O’Keefe, J. H. & Ventura, H. O. Thiamine supplementation for the treatment of heart failure: a review of the literature. Congest Heart Fail (2013). 19 (4): 214-22. Fujiwara, M. Absorption, excretion and fate of thiamine and its derivatives in [the] human body. In: Shimazono ,N & Katsura, E. Beriberi and Thiamine: Review of Japanese Literature. Tokyo: Igaku Shoin Ltd. (1965). pp 179-213. Lonsdale, D. Thiamine tetrahydrofurfuryl disulfide: a littleknown therapeutic agent. Med Sci Monit (2004). 10 (9): RA199-203. Lonsdale, D. Effect of thiamine tetrahydrofurfuryl disulfide on audiogenic seizures in DBA/2J mice. Dev Pharmacol Ther (1982). 4 (1-2): 28-36. Zhang, K.,Huentelman, M. J., Rao, F. et al. genetic implication of a novel thiamine transporter in human hypertension. J Am Coll Cardiol (2014). 63 (15): .Zhang 1542-55. Lonsdale, D., & Marrs, C. Thiamine Deficiency Disease, Dysautonomia, and High Calorie Malnutrition. (2017). Elsevier, Academic Press. Masuo, K., Rakugi, H., Ogihara, T., Esler, M. Deep., & Lambert, G. W. Cardiovascular and renal complications of type 2 diabetes and obesity: role of sympathetic nerve activity and insulin resistance. Curr Diabetes Rev (2010). 6 (2):58-67..
Constantini, A., Pala, M. I., Tundo, S., & Matteucci, P. Highdose thiamine improves the symptoms of fibromyalgia. BMJ Case Rep (2013). May 20; 2013.pii:bcr 2013009019. doi: 10. 1136/bcr- 2013-009019. Jurna, I. [Analgesic and analgesia-potentiating action of B vitamins] [Article in German] Schmerz (1998). 12 (2): 136-41.